I recently spent a week in Silicon Valley. The spirit prevailing over there was just nuts! Speaking with hashtags, I’d summarise it as #thinkbig, #payitforward and #cando. But what is behind this? One important factor in the success of Silicon Valley and the Bay Area in general has to be the vast number of immigrants that come and go and, in many cases, stay as well. There are great universities, lots of big companies attracting talent to the area, and an enormous number of business angels and venture capitalists to fund your business ideas – should you eventually have one. In many neighbourhoods Americans are a minority, and even then they are in many cases first generation Americans with parents who have moved to the US some decades ago (after all, someone should tell Mr. Trump who are the native Americans). Like economist Richard Florida has pointed out: talent, technology and tolerance are the key in attracting the creative class. So, tolerance is one thing. Another is the prevailing attitude – in Silicon Valley, if someone hits it big, others are envious in a constructive way: “Wow, that’s really something – I want to do the same!” In some rare areas of Finland we have the same mind-set – when your neighbour drives home a new fancy car, you say, “that’s a mighty good looking car, tomorrow I need to get myself one of those!” However, in most of the country you think, “that’s a mighty good looking car, tonight I’m gonna puncture its tires!” Like in the annual track-and-field match we have with our beloved neighbour Sweden – it is not important whether we win – just as long as Sweden loses. As one of my travel companions pointed out: we need to go from “suo, kuokka ja Jussi” to “se ei oo multa pois”. That’s nearly impossible to translate briefly so ask the closest Finn and you’ll have a good conversation! The third thing is heterogeneity. We could really use some fresh minds with ideas that are not percolated through the long, dark and freezing nights of our winter. Like in the boardroom: if there are six people there who always agree upon everything, then there are five unnecessary people on the board. The same goes for innovativeness: you put five clever Finnish engineers together and they innovate an online music service for both Eppu Normaali and Nightwish. Or an internet telephone that works for the whole neighbourhood. In the US Midwest this would be a service which would play both country and western, and they would not bother to use the net for calling each other as landline phones work just as reliably as always (remember, they’re still paying with cheques). But when you put five free spirits from different places and with diverse educations and backgrounds in the same room for a day, they put together ideas you would never have thought about – things that some of them need and the others know how to do and sell. Finland has been a very successful country and it will remain so in the times to come. But our success is not going to be based on whether Sunday overtime pay is lowered to 75% or kept at 100% – nor on any other similar decision. No. We need new ideas, new energy, and lots of investment – as well as labour – for there is work to do. So let’s roll up our sleeves, meet in Tampere in December, and Twinkle together! 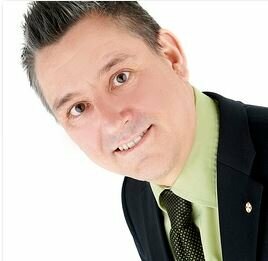 Tommi Rasila is a serial entrepreneur and board professional, who established his first company at the age of 17. During the past few decades he has actively participated in several companies as a founder, owner, board member or advisor. He also served for eight years as the CEO of Tampere Chamber of Commerce followed by two years as the Deputy CEO of Finland Chamber of Commerce. Tommi is keen on innovativity and has so far visited 299 cities in 50 countries. At Jetico office in Espoo, the CEO is from NYC, the marketing manager is Italian, sales director is a Finn and has lived in the US, sales support is half Finn – half American, and then there are two Finns.